1942- Quit India Movement, Summer of 42 (a teenagers growing up story), 1942 the textile Industry in Mumbai is at its zenith. Hundreds of workers pouring out of factories hungry, want meals, which are nutritional, cheap, keeps them from pining about their home. Caters to the tastes of the South Indian and Maharashtrian taste and Bingo ! Ram Nayak, Shri Krishna Udupi Boarding was formed. This eatery or mess is truly a working class and, as democratic and egalitarian as it gets. You enter and you have the option to be seated in large hall on the first floor overlooking the Matunga railway station (a mini south India in Mumbai). To use a cliche the claim is the owners eat in this restaurant. 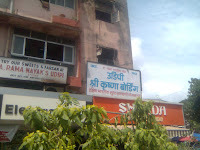 Its as legendary as the MTR (Mavalli Tiffin Room in Bangalore). One can take a tour of the kitchen while the action is happening. The seating is interesting, you sit beside each other in row rather than face each other. The atmosphere is cool, windows open fan running. Despite all the action its not very noisy, its pretty calm and serene. The other Rolls Royce experience is unlimited food, 3 vegetables (we got a cabbage, a gourd nicely diced, a white chana (chick peas curry), sambar, rasam, set curds, salt and a choiceof three desserts, I chose Shrikhand delicious). All for a handsome amount of Rs85/-. Attaboy ! We are under Rs 100/- without even trying hard. There are four of us and we pay Rs 340/-. The tummy is full and the pocket is also still full. Saar!! 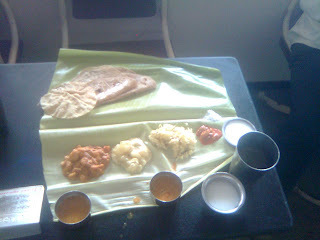 when i read thru your blog felt like stopping by....Lets Cheers,with the Rassam.